Limited edition 300 copies black vinyl. Reissue of the classic debut album of VIPER (Brazil) featuring Andre Matos (ex-ANGRA) on vocals. Originally released in 1987, “Soldiers of Sunrise” is one of the greatest metal albums ever released in South America and a gem of ‘80s melodic power/speed metal. 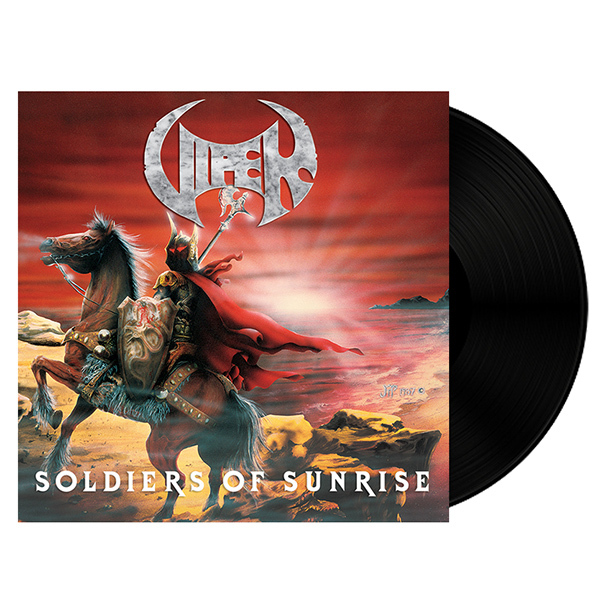 “Soldiers of Sunrise” is a classic ‘80s underground metal album full with heroic anthems, speed metal enthusiasm and youthful power. Highly recommended for fans of IRON MAIDEN, HELLOWEEN, HEAVENS GATE and early ANGRA.